Is your email design being displayed incorrectly? Usually, the edit mode in MailChimp will display your Mail Designer 365 email design inaccurately. If you come across this problem, don’t worry. MailChimp’s editor view does not read the more advanced designs you can create with Mail Designer 365 properly. Your email design is still safe and intact. 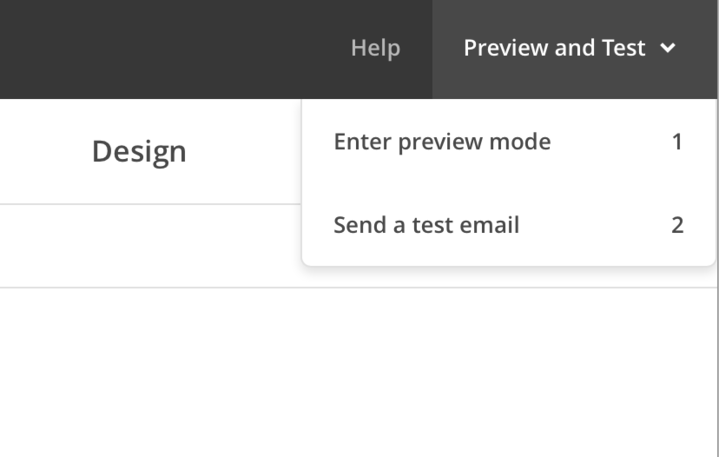 After uploading your design to MailChimp, open your template in MailChimp’s preview mode rather than editor view. MailChimp’s preview mode will show you your complete design as it’s supposed to look. You can find MailChimp’s preview mode by clicking “Preview and Test” from the upper right corner of the MailChimp website. Then, choose “Enter preview mode.” The format of your email design should now be the same as how it looks like in Mail Designer 365. Whenever the formatting of your email design looks off when you upload it to MailChimp, just remember to enter MailChimp’s preview mode.